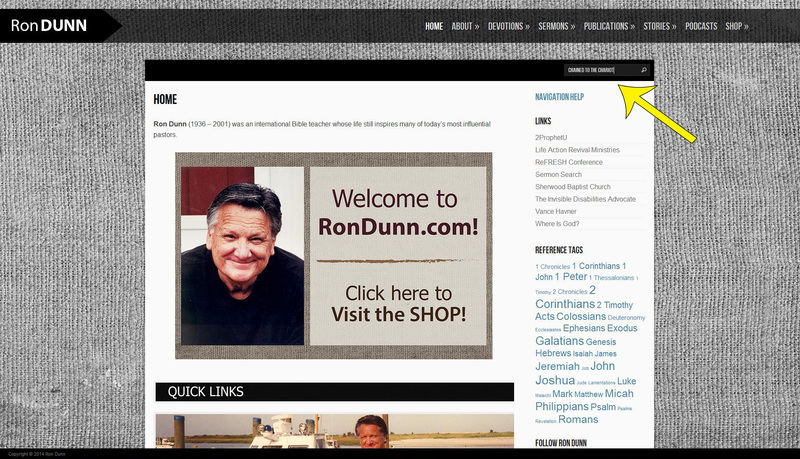 To browse the Ron Dunn Shop, simply select the “SHOP” button on the main menu bar. 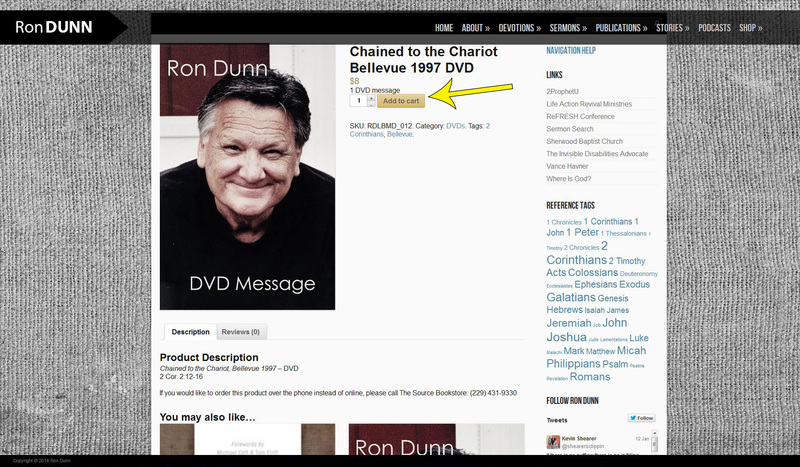 You can search the entire shop or browse categories- books, DVDs, CD Series or Single CDs. You can also choose to sort the shop items by popularity, newness, price, etc. Click the small arrow next to the default sorting box to change the way the shop sorts items. Use the “search” box as a quick way to search for a specific item. Type in the name or title of the product. Then select the magnifying glass icon next to the box or press “enter”. 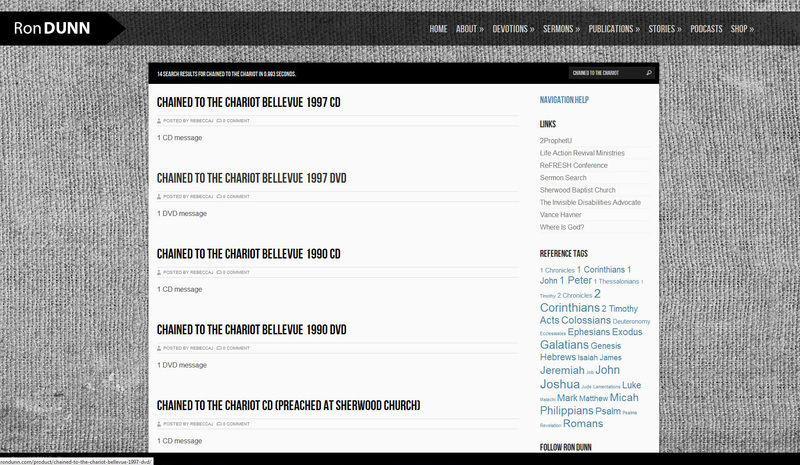 Next, you will see all the items (and articles) on the website that match the word(s) you entered into the search box. Select the title of the item of your choice. If you would like to purchase the product online, select the quantity you would like to purchase, then the “Add to cart” button. 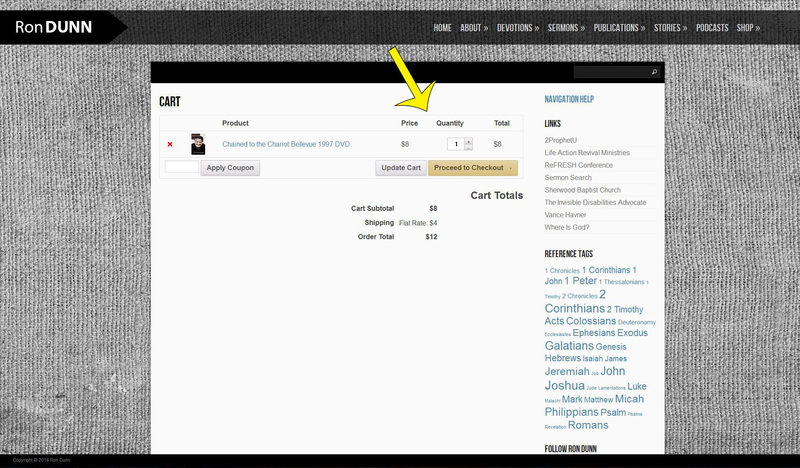 Once you add something to the cart, you will see a button that tells you to view your cart. Click that button once you finish adding ALL the products you plan to order. Please note: You can edit your shopping cart once you proceed to the cart area of the website. You can also remove and add products. Once you are inside your cart you can remove and add items, change the quantity and add a coupon code. You will see that shipping has been added to the total of your purchase. Click the “Proceed to Checkout” button to continue the purchase process. 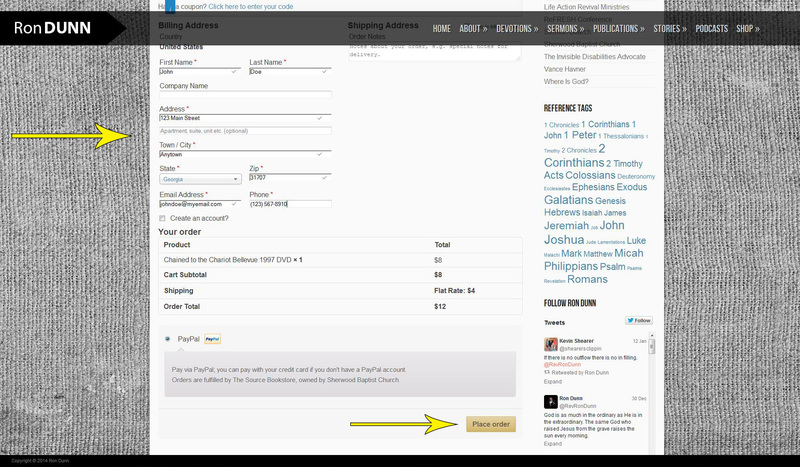 You will then be prompted to enter your shipping/billing address. Complete the form and click the “Place order” button. 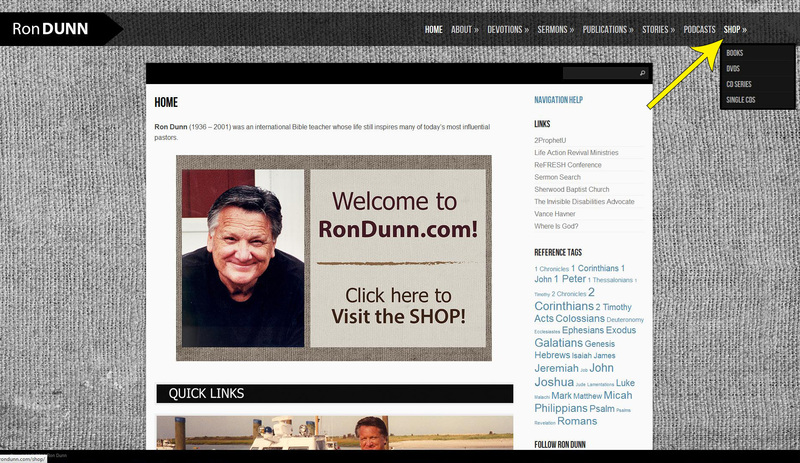 Please Note: the Ron Dunn website does not store credit card numbers and sensitive information. You will be rerouted to PayPal to complete your purchase. 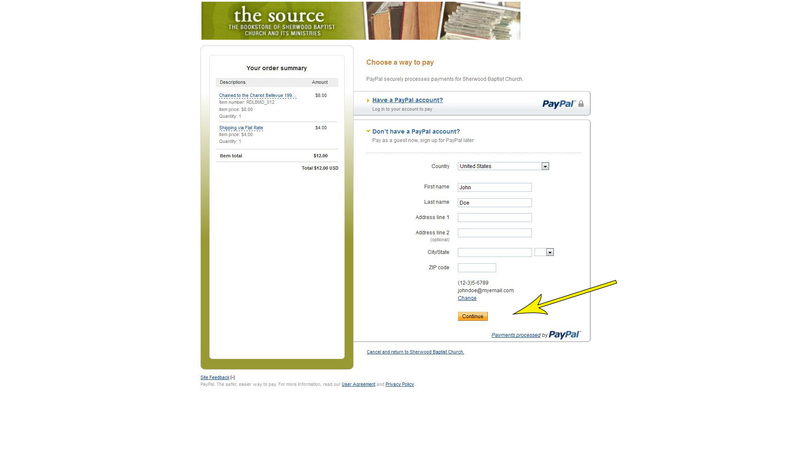 Continue to PayPal, where you can use your PayPal account or pay as a guest. Confirm your purchase and submit. You should receive an email or message confirming your order. 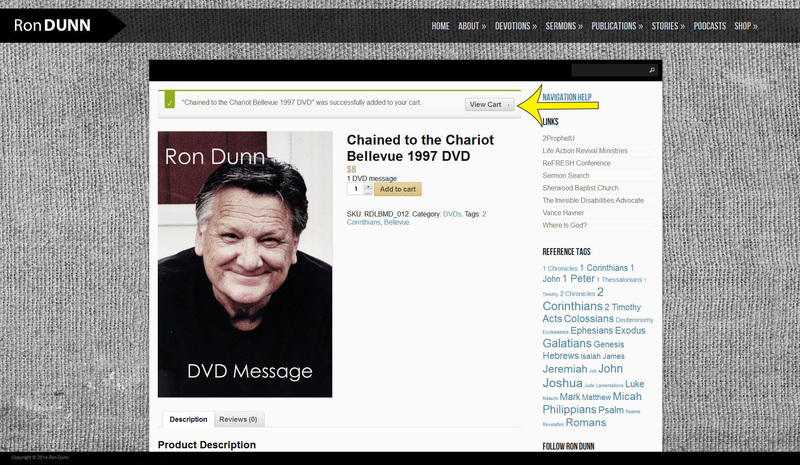 BEFORE YOU ORDER: Ron Dunn preached all over the world and behind many different pulpits during the span of his ministry. He was able to deliver some of the same strong and powerful messages to many different people. 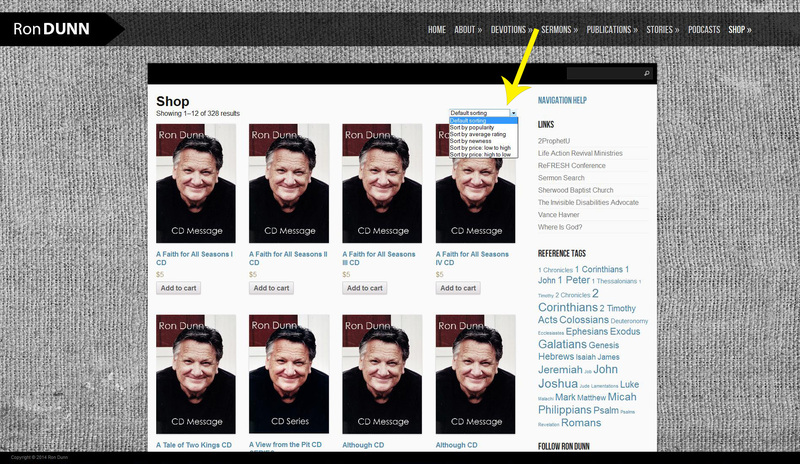 Occasionally you may find duplicate titles of his sermons, and although spoken to a different crowd at a different time, you may find similarities. We encourage you to search this vast library of resources that is continually updating with new messages.